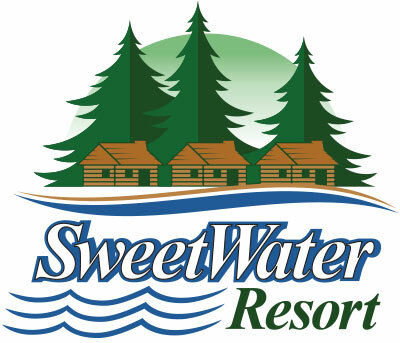 Sweetwater Resort is a small family-friendly, dog-friendly resort on Fish Trap Lake located in Central Minnesota. We have clean, modern, air-conditioned/heated cabins. Each unit is equipped and ready to be your home at the lake. We provide bedding, dishes, silverware, cookware, stove, microwave, refrigerator/freezer, coffee maker, toaster, picnic table and charcoal grill. Each cabin has a deck or patio. Come relax in the sun or shade. Experience beautiful Fish Trap Lake and the surrounding Lincoln Lakes Area. Summer activities available: a safe, sandy swimming beach, children’s playhouse/fort & playground, basket hoops, lawn games, volley ball, paddle boats, canoes, kayaks, swimming raft and slide, and daily organized activities. Pontoons and fishing boats available for rent. Weekly rates – Saturday to Saturday during our peak season of mid-June to mid–August. Weekly rates apply. Daily rates apply. Minimum 3 nights. 1: Snowmobiling – Access to over 750 miles of snowmobile trails from our driveway. 3: Cross country skiing trails at either Lindberg State Park in Little Falls – (about 20 miles away), Crow Wing State Park – (about 25 miles away), or Paul Bunyan Arboretum Cross Country Ski Trail (about 40 minutes away). Skiis are available for rent at Easy Riders in Brainerd. 4: Water Parks – Holiday Inn Express and Suites – Baxter, MN; Comfort Suites Rapid River Lodge – Baxter, MN; Arrowood Lodge at Baxter, MN. 5: Restaurant/bar – 2-Tall about one mile away, Castaway about 8 miles away, Angler’s Corner about 5 miles away, Friendly Inn about 5 miles away and 5 other restaurants within 10 miles.